Who doesn’t love a good surprise? Indeed!! 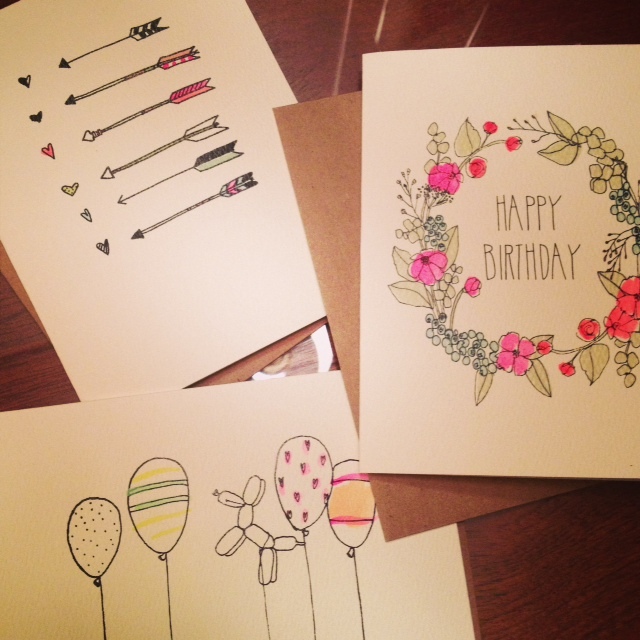 As you may have noticed, Brown Ink recently launched a new site with the addition of Paper Goods arriving this Fall. Nick and I have been enjoying the process of creating the new site and we’ve been fortunate to have a brilliant team of players around us. A big round of applause to Kate Arends from Wit & Delight who ran the Brand Developing, Eric Price from The Walker Art Center is the Graphic Designer, Scott Anderson at Room 34 is the Developer, and Louisa Podlich from Louisa Marion Photography who shot our images. Thanks to everyone for the talent, creative juices and energy surrounding Brown Ink!! 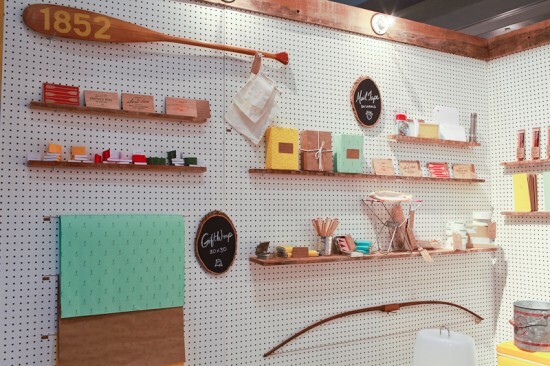 The Paper Goods store has been an idea swirling inside my brain for the past year. 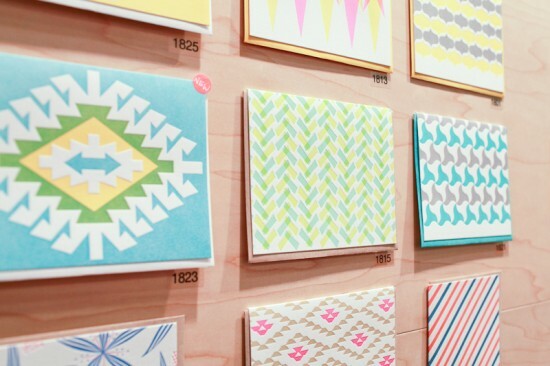 After last year’s National Stationery Show, many blogs featured stationery lines new to me. 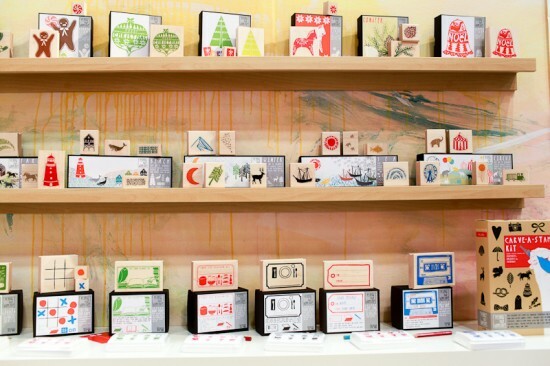 At the same time, I saw several small, one-man-band companies found only in a handful of boutiques or online. Which was when it dawned on me…Brown Ink needs to provide the opportunity for others to enjoy these lovely products too!! But alas, you must hold your excitement until the Fall when our e-commerce store will open. 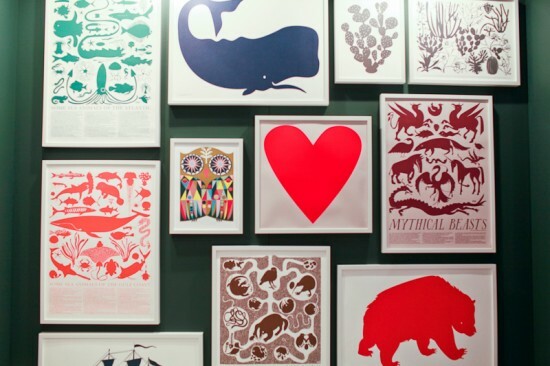 We thought we’d give you a sneak preview of last week’s New York trip where I met dozens of charming paper lovers and suppliers!! My dear friend Jean Glenn from Pomegranate Press and I about to inhale a sea of booths!!! It was a treat to meet St. Paul gal, Catherine Polacek from Printerette Press. 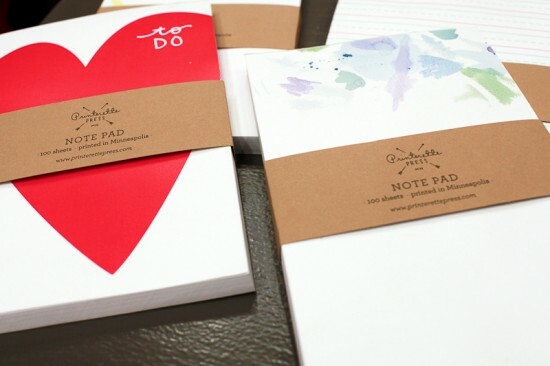 Check out her fabulous note pads which debuted at the show. 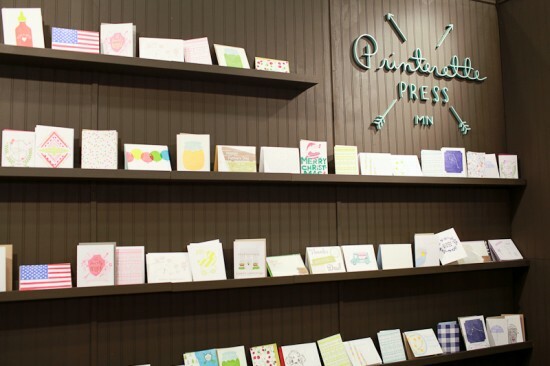 The stationery and prints at Banquet atelier & workshop were even more beautiful in person!! 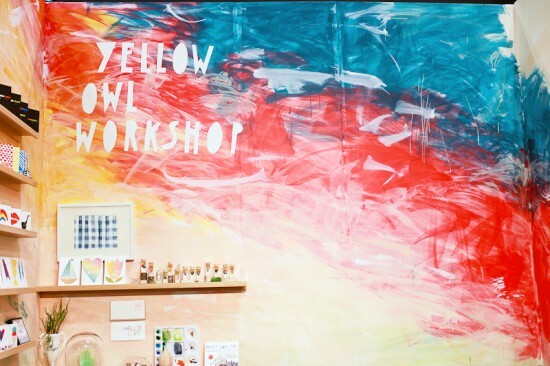 The Yellow Owl Workshop booth was not to be missed with hand-painted, rainbows of color. 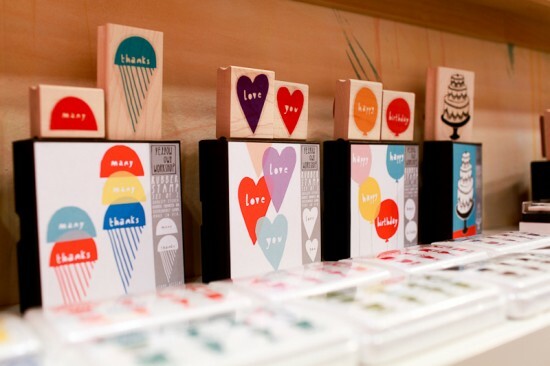 I’m a bit crazy over their selection of stamps! 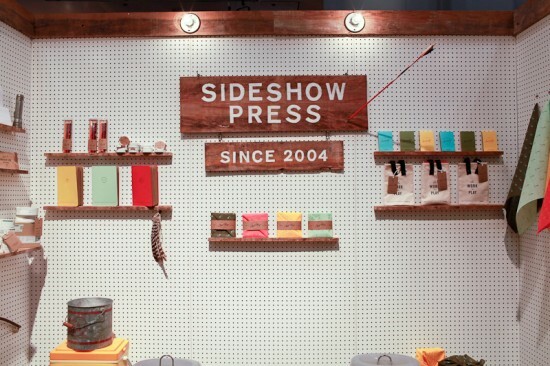 One of my favorite new lines was Sideshow Press which used outdoor camping as their inspiration. 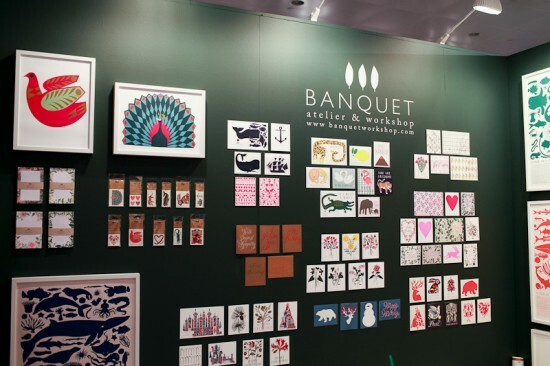 If you’d like to experience even more from the Stationery Show, head to Oh So Beautiful Paper where Nole Garey and her team captured the event remarkably well (so much so, it was impossible to not use a few of her images!!). I promise to highlight a few more of my favorites from the show in the month ahead. The day before the show I had the chance to meet two inspirational women creating paper treasures from their home studios in Brooklyn. Artist Jonna Twigg creates unbelievably gorgeous journals, both leather and fabric bound, for her Twigg’s Bindery line. And the poised Emily Johnson from hartland brooklyn left her career in the fashion industry to design stationery full time. 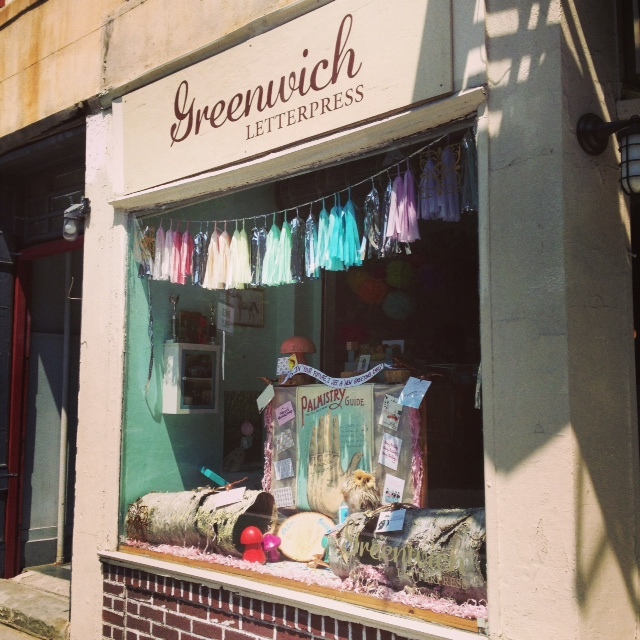 I also had the chance to check out paper goods scattered throughout New York, one of my favorites being Greenwich Letterpress, where they sell their own line as well. Lastly, a thanks to you, readers, for staying with us on this journey!! 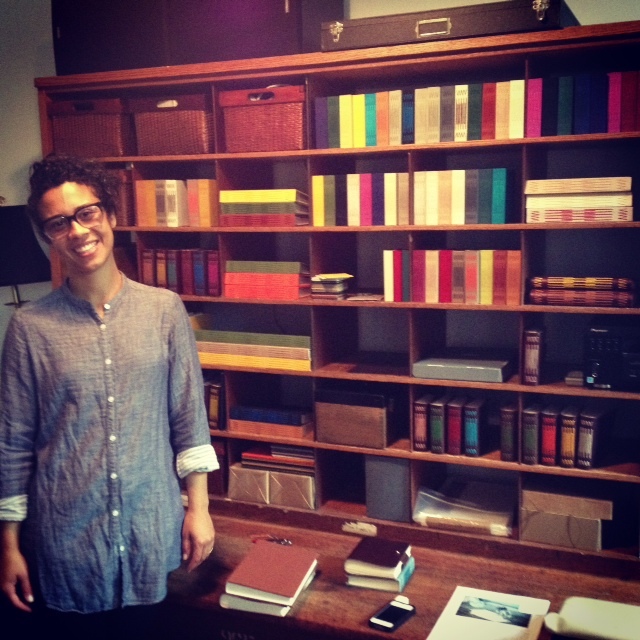 Here’s to a summer of writing, wonder, and expectations of good things to come from Brown Ink. According to Andy Williams, “It’s the Most Wonderful Time of the Year”, is the winter holiday season. I tend to disagree. 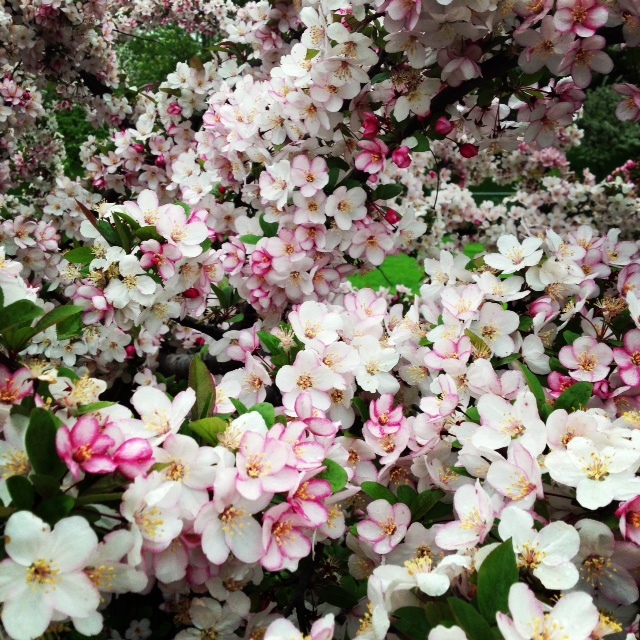 MY most wonderful time of the year is right now…Spring. I can’t help but love the beginning of Autumn but as far as daily routines go, this is it. We here in Minnesota have experienced the longest winter in many, many years so the sheer joy of digging in the wet, black soil in the garden, dirt lodging deep into my nail bits, is a simple joy. Seeing our four-year-old experience a new freedom while riding on two wheels, the constant running races in the backyard, or throwing a baseball to their father are moments we don’t take for granted. Riding on the trolley is delightful and curling up under blankets on the screen porch with puzzles and Spiderman books surrounded by family is my present heaven. Grade school teachers are forced to tame their students who have turned into bumble bees, unable to control their jittery knees while gazing out the windows. BBQ’d meals, watching buds open, dirty knees, spring cleaning, dirty knees, impromptu wine sipping with neighbors, sunrise morning runs, falling asleep to a spring rain storm…I could go on. 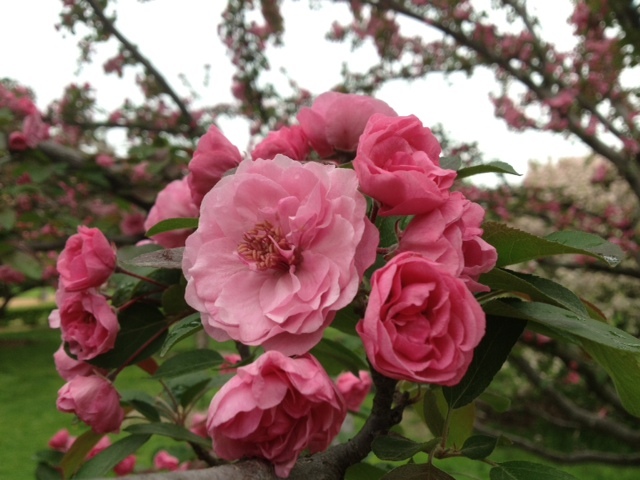 There is fresh spirit in the air. It’s also the busiest time of year, this year even more so. School picnics and graduations, sports, band performances, Field Day, Field Trips and the like. For me, I enjoyed a Madison college reunion and a trip to NYC for the Stationery Show (more on this in a few days), not to mention rebranding Brown Ink, so my free time has been little to none. Which is why the reality of me keeping up with my The Artist’s Way journal became far from realistic the past few months. As some of you may remember, in February I wrote about my intention to journal every morning (also known as “morning pages”) guided by this thought-provoking book. I made it until the end of March before I surrendered. Between an early rising family and insomnia, any extra minute to snooze was needed and used. There is no guilt towards placing The Artist’s Way on hold for another year or so. One reason is that I’ve been adamant about keeping up with my 5 Year Diary. With only six short lines available, I scribble out a few details of my day each night. There is a slim jim chance I will remember all the goings-on in my 39 year-old life years from now. And I want to remember. Writing in this journal makes it possible. It’s a wonderful way to find a little peace at the end of each day. And as these days all blend together I’ll be able to look back at the beauty of the messiness and remember what I didn’t take for granted. 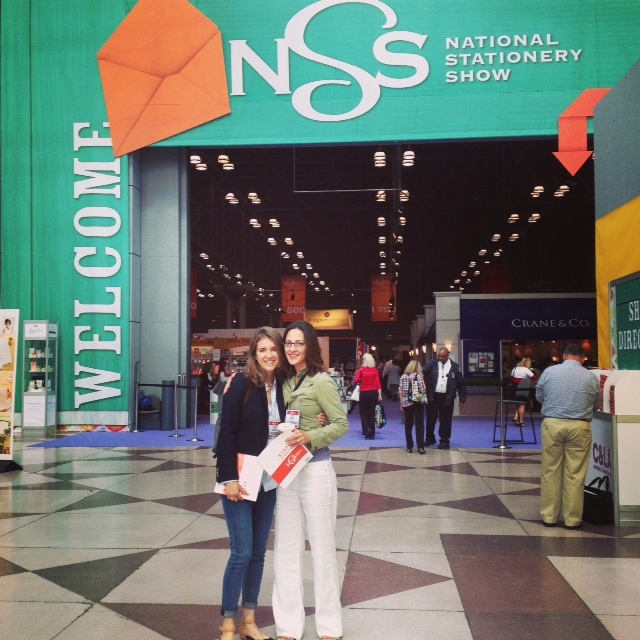 Brown Ink is headed to NYC for the National Stationery Show tomorrow morning!!! But before one-half of us hits the runway, we wanted to share with you our Must Have’s for the Graduate or Teacher in your lives. 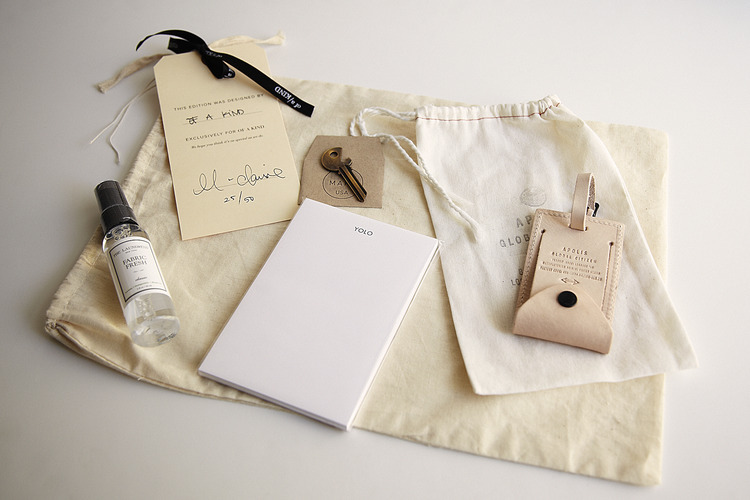 This Graduation Grab Bag from Of a Kind combines some of our favorite gifts, especially the YOLO notepad from Terrapin Stationers. 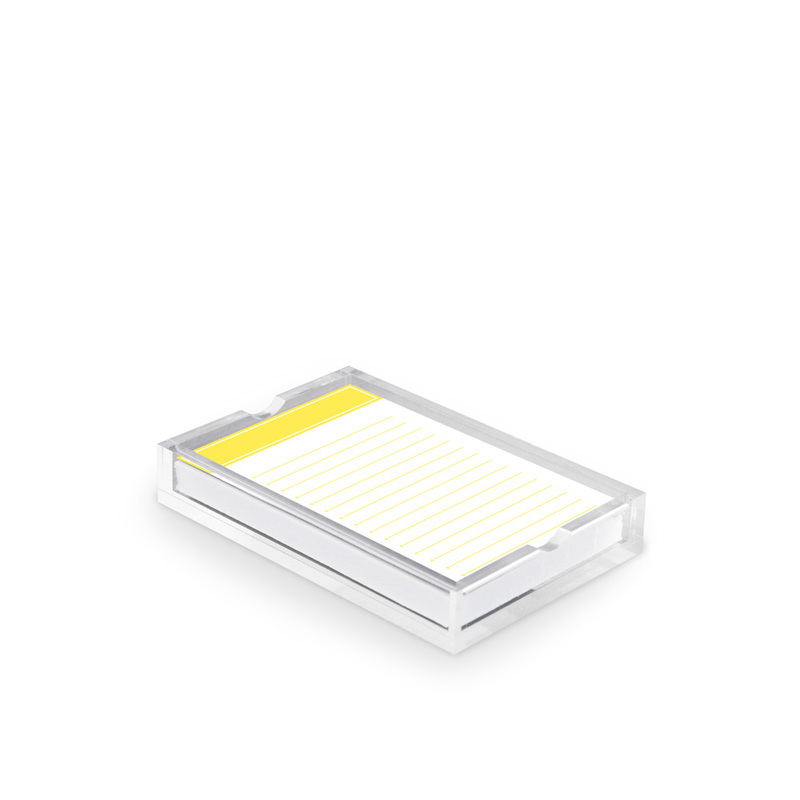 Even though most of the college kids will be connecting with their families through email, Skype and the like, help promote the life of handwriting through the gift of stationery. 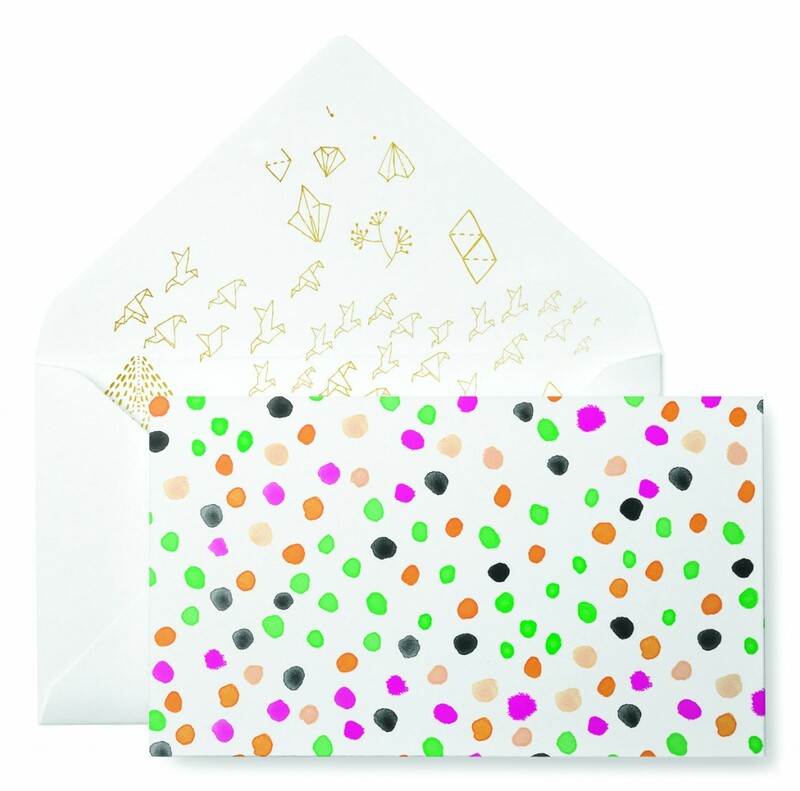 For the ladies, check out the MARA-MI notecards (adore this one from the Reo Collection) found at their flagship store or any russell+hazel. 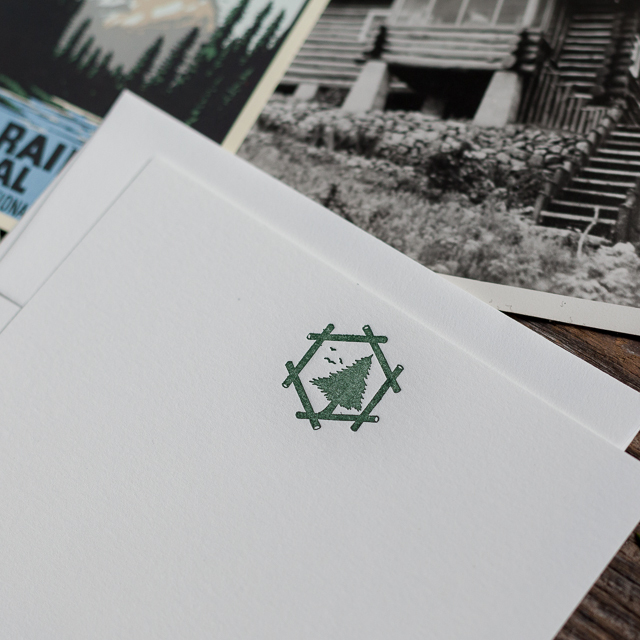 You can even include a roll of stamps to make it more possible that these potentially unusual correspondences end up in your mailbox! 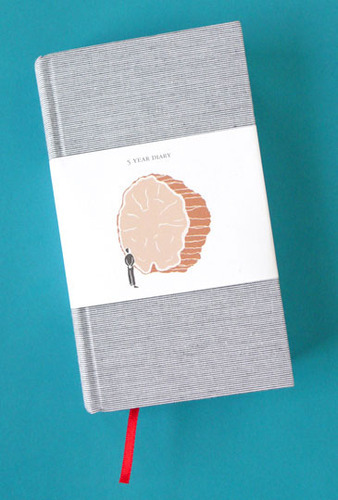 If there is ever a time to purchase a journal for a young adult, it would be now. 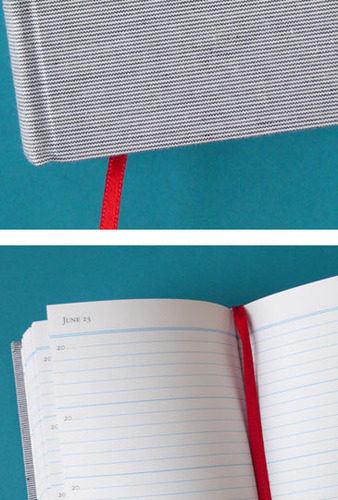 These beautiful Tome Leather Longstitch Journals from Twigg’s Bindery in Brooklyn might even trigger a college Freshman to take a seat at the student union between classes and reflect. We hope!! 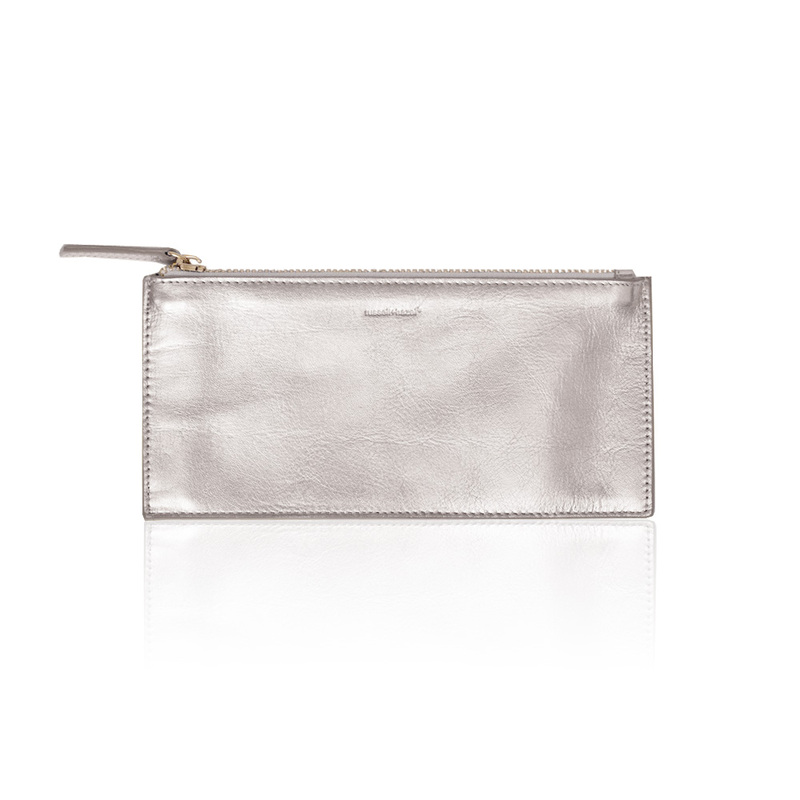 Why not fill this lovely Leather Pencil Case from russell+hazel with fabulous pens and a Gift Certificate for a needed massage? As much as they love the classroom, most teachers enjoy the change in routine with Summer break. 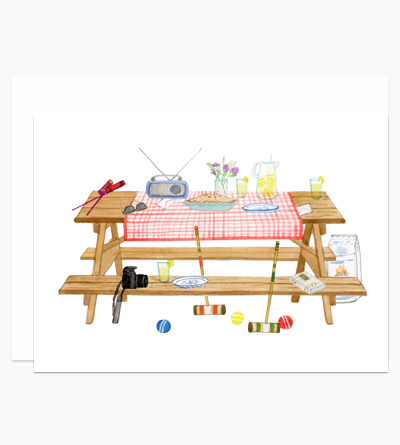 Celebrate their needed time-off with the Summertime Desk stationery from Dear Hancock. 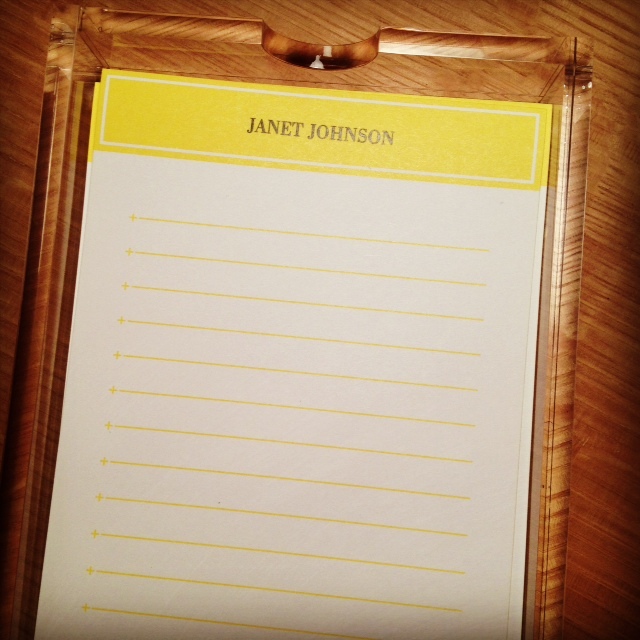 Emmett’s teacher will hopefully be delighted by this personalized Yellow Jotter Tray from russell+hazel, perfect to sit on top of her writing desk. Last year I posted about a book that Emmett created for his teachers. Huge raves as you can imagine. It took a bit of time but definitely worth it. To keep things simple in this busy time of year, a handwritten note to a teacher is about the best gift of all. 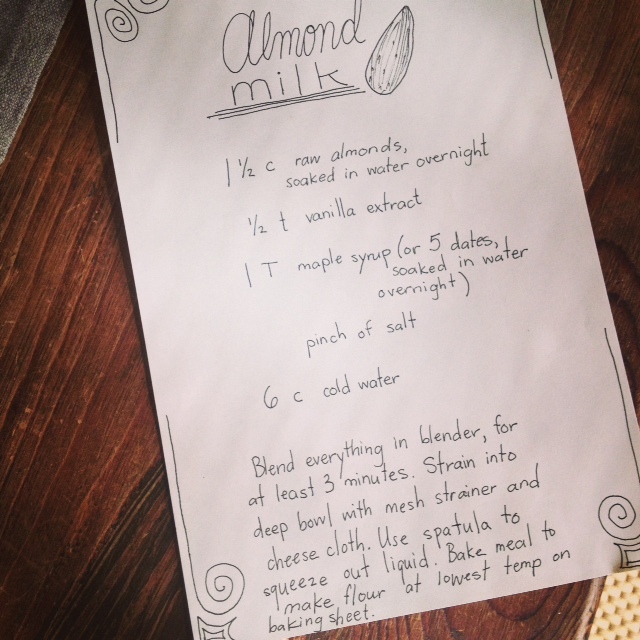 Scripted or scribbles, energy from a young hand will warm any heart. It’s difficult to refer to my friend Amy as our babysitter since she is more an extension of our family. She’s the kind of young girl I wish I could have been at the young age of 20. Not only did Amy spend her freshman year of college in Florence not knowing a soul but she’ll be heading back to Italy this Fall to meet up with her fantastico boyfriend Tomasso and continue her education. Like most kids these days, Amy and Tomasso connect daily via Skype, email and/or texting. But she is also a traditional gal who has been known to mail care packages with scrapbooks, celebrating their first year together or send a sweet letter just for the sake of writing. 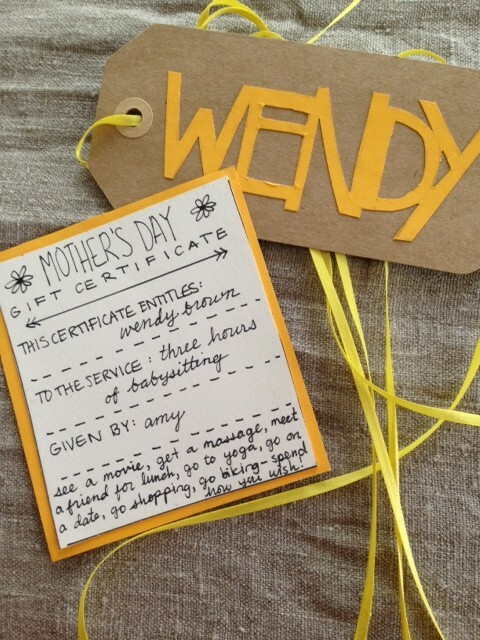 For Mother’s Day this year Amy surprised me with a handwritten Gift Card, perfect in every way. 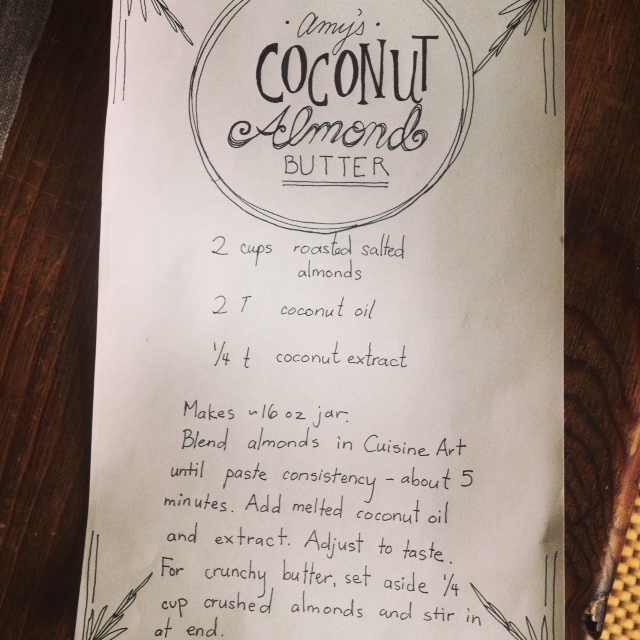 And it doesn’t hurt that Amy not only loves to cook but she shares her recipes using a handwritten card! There is something about the Peter Pan ride at Walt Disney World which continues to give me a thrill. As many times as I ride in that ship, flying high above the lights of London, I never get tired of the feeling. 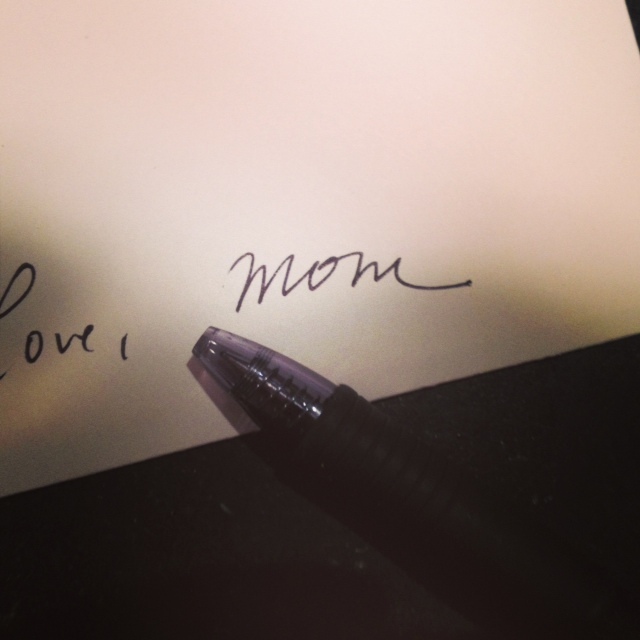 And this is exactly how I feel about writing out the word Mom. I’ve had the chance more often these days. Sometimes on lunch box notes, or writing in the kids’ journals. But it always feels so fresh to me. I often can’t believe I am writing this word down. How did I get so fortunate to become a mom? Do I really have three kids? Breathe in, breathe out. That’s sometimes how I feel when I write the word Mom. It’s an emotion like none other, achieved through the simple act of writing three letters.